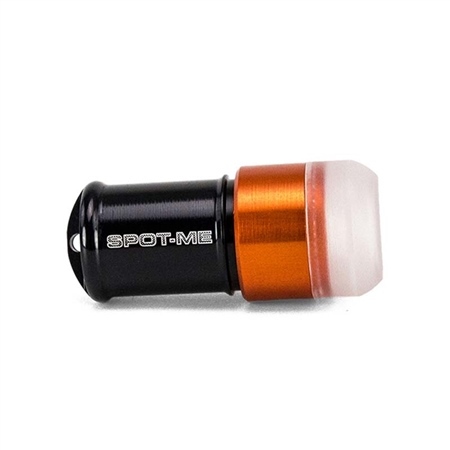 A miniature waterproof SpotMe Strobe means sailors, paddlers and surfers can quickly and easily attract attention if they are in difficulty. In broad daylight in the sea, it is incredibly difficult to spot a person in waves, even from a few boat lengths away. Exposure’s high intensity, easily activated, mini strobe increases your chances of being spotted and rescued more quickly if you are separated from your board or stuck with a damaged, upturned dinghy. The unique ‘click’ single hand operation ensures simple operation when in distress. 1 x CR123 Lithium-Ion battery.